APLICAT, a Spin-Off of the Rovira i Virgili University from Tarragona, Spain, offers and commercialize the best technologies of water treatment solutions. APLICAT offers key in hand solutions. All the technologies can be tested with the client polluted effluents developing pilot studies before to establish the technology. To meet the challenge of removing all kind of pollutants APLICAT develops customized catalyst investigations following a total development process that leads from laboratory and pilot studies till engineering installations. The APLICAT work areas include heterogeneous catalysis and materials for addressing all types of environmental problems and processes, from the main catalytic reactions (hydrogenation selective, selective dehydrogenation, selective oxidation, selective hydrodechlorination, isomerization, aldol condensation and Claisen-Schmidt and esterification). APLICAT has experience working as a R+D+I adviser in industrial catalytic processes that are at different grades: start-up processes, modifications and improvement of old processes, etc. APLICAT has a wide range of experience in the characterization, preparation and regeneration of materials. APLICAT, SL Catalysis Applications Aplicacions de la Catàlisi, S.L. HIDROMAT is a technology based on the elimination of recalcitrant organic compounds by a catalytic reaction, so that pollutants are transformed into harmless or reusable products, resulting in products with higher added value. This technology is highly innovative and designed with the objective to be implemented on an industrial scale because it is a simple process that uses very mild operating conditions and does not require complex systems. 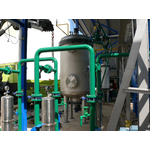 Technology based on a catalytic treatment system that allows the removal of organic matter in industrial effluents to levels higher than 99,9% by wet catalytic oxidation. It is a clean technology, and does not generate waste or by-products, with low power consumption and small space requirements compared to biological treatments. 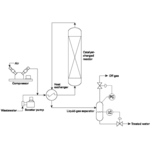 Process description; in a first step the polluted water is pre-heated and the vapour obtained is mixed with warm air and introduced to the reactor. The process does not need an extra addition of heat because it is autothermic. The outputs of the process are distilled water and carbon dioxide that is separated in gas phase. oAll-purpose technology, accepts all kind of organic aqueous effluents, with different concentrations. effluents with COD(40.000-500.000ppm) and no inorganic salts. Is a green process, no wastes are generated. The nitrates removal consists in a catalytic reaction that converts nitrates and nitrites into Nitrogen gas in one step using hydrogen gas as reactant. The reaction occurs in a catalytic reactor provided by APLICAT that works in a continuous mode. The products are Nitrogen gas and clean water. The chemical formula of the catalyst designed by the researchers of the centre AMIC, Rovira i Virgili University, is the key of the process, therefore is protected and commercialized by APLICAT. 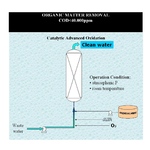 oAll-purpose technology, accepts a wide range of nitrates concentration. Catalytic Advanced Oxidation technology removes the organic matter at atmospheric pressure getting clean and reusable water. It is a simple process that uses very mild operating conditions and does not require complex systems. 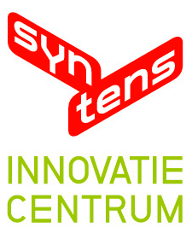 It is a clean technology, and does not generate waste or by-products, with low power consumption and small space requirements compared to biological treatments. The organic pollutants are oxidized to CO2 gas obtaining conversion values around 99%. The reaction takes place in liquid phase in a catalytic reactor, where the polluted water and Hydrogen peroxide or ozone reacts, obtaining clean water and CO2 as products. The hydrogen peroxide is generated in situ in the reactor by the direct reaction between oxygen and hydrogen avoiding operator manipulation risks. 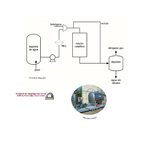 Industrial clients intereted on treat his effluents with green and low cost technologies. Innovative technology appropriated for the decontamination of effluents with organic halogenated compounds. The catalytic reaction, Selective hydrodechlorination, consists in the reaction or halogenated organic compounds with hydrogen in a catalytic reactor.